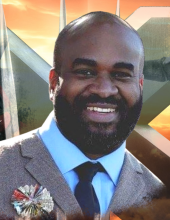 Paul Joseph Gamble, 41, passed away on March 20, 2019 at his home. He was the husband of Phylisha Gamble. They shared a total of 6 happy years together. Paul was born in Seneca, SC. He was the son of Betty and Pat Gamble. He graduated from SNHU with his bachelors in computer networking. He was employed at Clemson University and worked as a network technician. He enjoyed anything comic book or super hero related. He will be remembered for his goofiness, sincere personality, and his contagious smile. He always knew how to light up the room and make anyone laugh. Paul is survived by his wife Phylisha Gamble. His children Trinity Gamble, Mariah Gamble, Brayden Bates, Brianna Bates, Brooklynn Bates, and Bryson Bates. His grandson Channing Gamble. The memorial service will be held on March 24, 2019 at 5 pm at Brown Ogelsby Funeral home in Seneca, SC. The viewing and service will take place at that time. Memorial donations/in lieu of flowers may be made to the Brown-Ogelsby funeral home. To send flowers or a remembrance gift to the family of Paul Joseph Gamble, please visit our Tribute Store. "Email Address" would like to share the life celebration of Paul Joseph Gamble. Click on the "link" to go to share a favorite memory or leave a condolence message for the family.